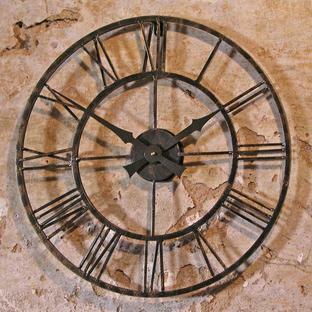 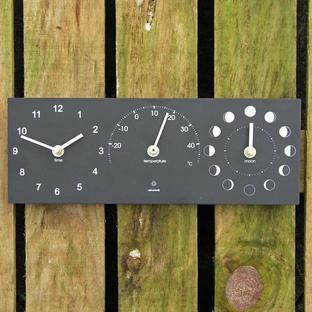 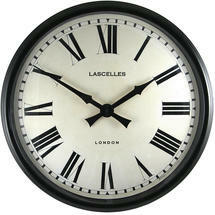 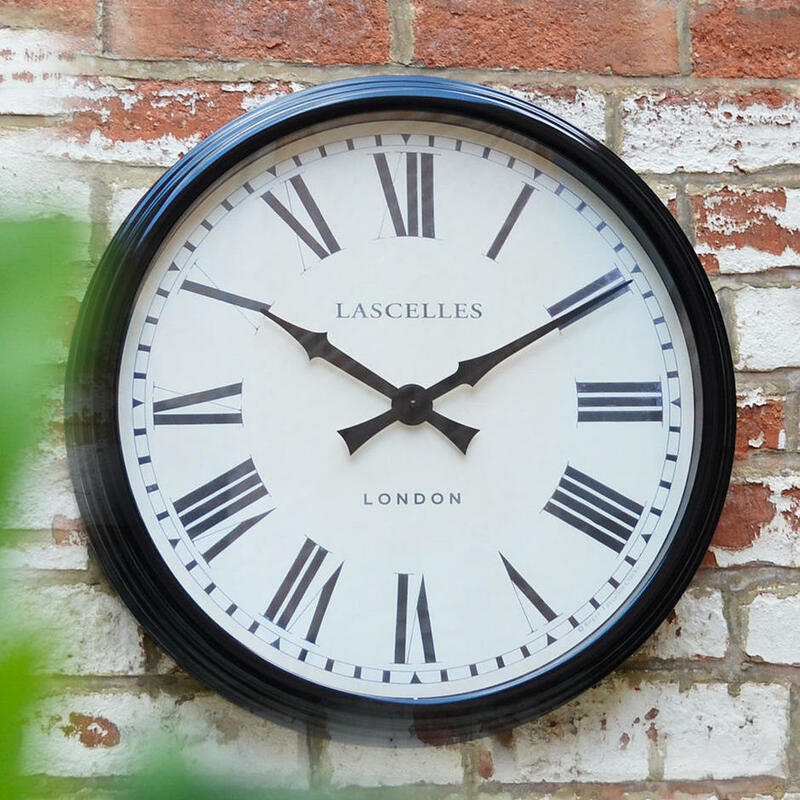 Large, deep dramatic wall clock, for garden rooms or conservatories. 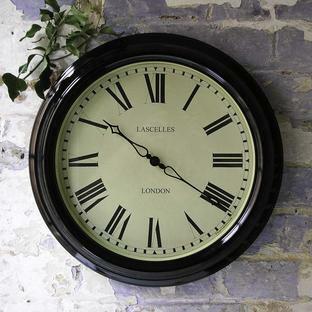 With a deep metal casing in black, this large wall clock is a dramatic statement piece. 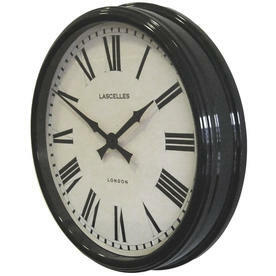 Suitable to be used inside, or outside if under shelter. 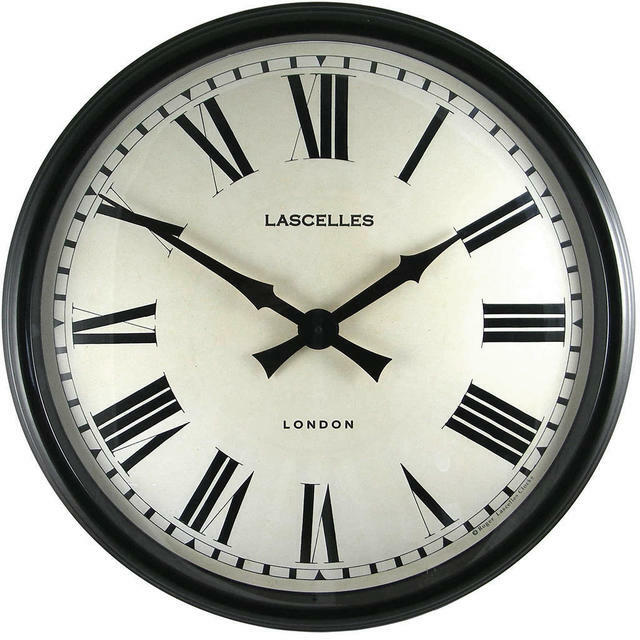 It has a sealed battery compartment. Takes 1 x AA battery, included.